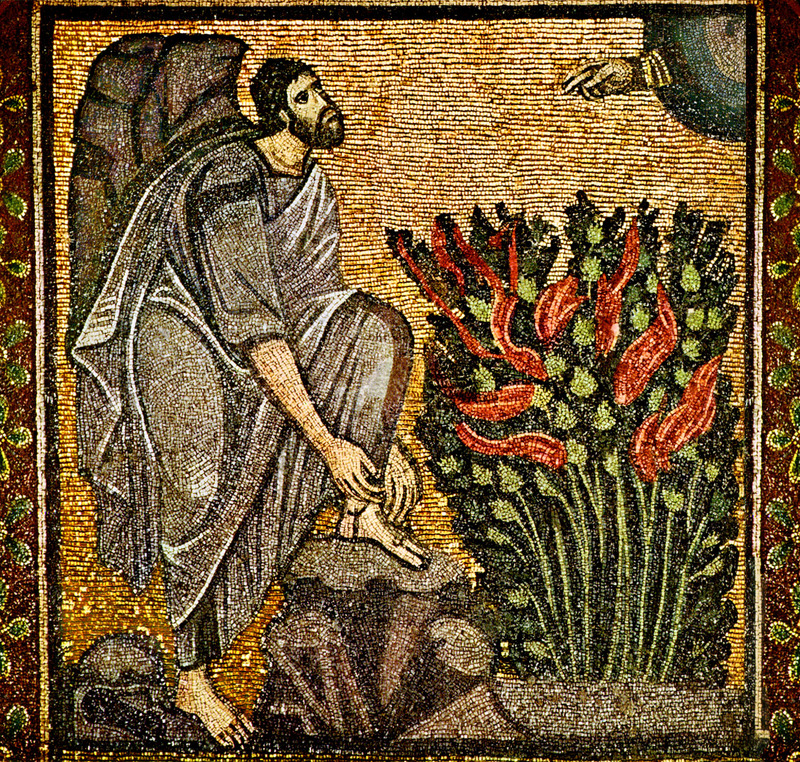 Few texts in the Bible have been as metaphysically-significant as Moses’ encounter with God at the Burning Bush. With the giving the Divine Name “I am that I am” in Exodus 3:14, the stage was set, not only for covenantal history, but philosophical reflection in the West for millennia to come. When the Greek translation of the OT, the Septuagint (LXX), rendered that phrase something along the lines, “I am that which is”, a door was opened for philosophically-inclined Jewish and especially later Christian theologians to attempt an identification with the God of Israel, with the philosophical category of being. Of course, not everybody has been sanguine about this history. From various angles, the tradition has been attacked. Lexically, the Septuagint’s rendering has been called into question, and various alternative renderings of the complicated Hebrew have been offered. Theologically, metaphysical interpretation of this sort has been rubbished as one more, if not the chief, example of the Greek captivity of Christian theology, imposing foreign categories upon the text in order to arrive at foregone philosophical conclusions. Others have argued that the text is nowhere near philosophical categories. Connected with this, certain modern theologians assert that God is testifying to his faithfulness, or his consistency of action, not his mode of being. Biblical thought is concerned with God’s character, not his ontology. While some of these arguments have some weight to them, especially the exegetical ones, I thought it might be worth presenting a chunk of Francis Turretin’s exposition of the divine name as a prime example of the tradition. It’s instructive in itself, not because everything in it holds up, but because many haven’t taken the time to look at what this type of argumentation looks like. Also, because it makes a key point that, whatever you do with the rest of it, still needs to be heard: ontology and character are bound up with each other. There can be no simple bifurcation between being and doing. (a) The eternity and independence of God, inasmuch as he is a necessary being, and existing of himself, independent of any other, self-existent (autoon)–“I am that I am” (Ex. 3:14). Hence he is called simply the being (ho on, as the ancient philosophers and Plato especially acknowledged). John describes him by the three distinctions of time: “which is, and which was, and which is to come” (ho on kai ho en kai ho erchomenos, Rev. 1:4). In reference to this we have that expression of the ancient heathen: “Zeus was, Zeus is, Zeus will be, O great Zeus” (Zeus hen, Zeus esti, Zeus essetai o megale Zeu, Pausanias, Description of Greece 10.12.10). (b) It implies causality and efficiency because what is the first and most perfect in each genus is the cause of the rest (for God is by himself so that he is the cause of being to all others, Is. 44:24). As I said, there are a few things that are instructive about this passage. For one thing, the diversity of sources appealed to is always enlightening to note, simply because at certain times Christians, or especially Evangelicals, have been accused (and been guilty) of intellectual ghettoization. Turretin can comfortably appeal to pagan philosophical and literary tradition in order to supplement his point. Even more important is the point we see in subsection “c”. Turretin engages in some theological exegesis by appealing to the acts of God, the character of God, in order to ensure the point about the being of God. As Vanhoozer has argued, metaphysics is unavoidable because we must give an account what God is like in order to account for who he has shown himself to be. What must the God who acts in this story be like in order to do and say the kinds of things we see in the biblical narrative? Well, Turretin answers that a promise-keeping God must be an unchanging God, who is in no way dependent on creation for his being or power. Otherwise, his promise-keeping God’s promise-keeping is tentative, questionable, and contested. It would not be grounded solely in God’s own, unwavering power, but in the vagaries of history and chance. So even if we reject the identification of God with being in the text, and link the name with issues of God’s covenant-keeping character, it’s clear that some level of metaphysical, or ontological reflection on the Name of God is warranted, even demanded by the text. As the Psalmist says, “You are good and do good” (Psalm 119:68). Turretin would simply remind us to link and properly emphasize the verbs: He does good because He is good. Looking forward to more thoughts from you on this topic, which has just recently grabbed me in terms of its importance!